- Excise tax: Imposed on specified products such as alcohol and passenger cars, and certain services. - Exemption or reduction of import duties on imported machinery or raw materials and components. Additional tax incentives are available to investment projects located in Thailand’s special investment promotion zones, including a 50% reduction in corporate income tax after the income tax holiday period ends. A regional operating headquarters (ROH) can have a tax exemption on income derived from foreign operations and a concessionary tax rate of 10% on other qualifying net profits. Dividends received by an ROH from Thai or foreign subsidiaries can qualify for an exemption from corporate income tax, as can dividends paid by an ROH to foreign shareholders that do not carry on business in Thailand. Concessionary tax treatment is also granted to expatriate employees of an ROH. Tax losses: Tax losses incurred can be carried forward for five years for corporate income tax purposes and 10 years for petroleum income tax purposes. Tax losses cannot be transferred to related companies. Withholding taxes: Thailand requires withholding tax to be deducted from specified domestic and international payment, like royalty payments, dividends, interest and rents. 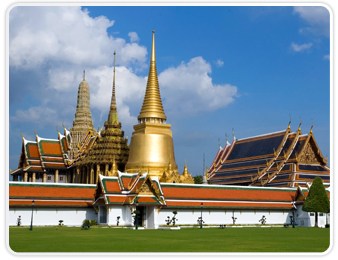 Foreign tax credits: Thai incorporated companies can claim a foreign tax credit for tax paid in a foreign country on income also subject to Thai corporate income tax. The foreign tax credit cannot exceed the amount of Thai corporate income tax payable on the income. Transfer pricing: Transfer pricing guidelines have been issued by the Revenue Department based on the “arm’s-length” principle, supplementing the requirements under Thai tax law for market rate pricing in relation to both related and unrelated party dealings. Anti-avoidance rules: Thai tax law has limited general anti-avoidance provisions for which the Revenue Department may deny a tax deduction for artificial or fictitious expenses or expenses not exclusively expended for a business purpose or acquiring profits.